Garcon would good in purple and black. Free agency is set to begin later this afternoon but don’t expect to hear the Ravens mentioned in going after any of the top names available on the open market like Vincent Jackson or Peyton Manning. In fact I’d be shocked if the team pulled off a late Ben Grubbs signing to keep him in purple as well. 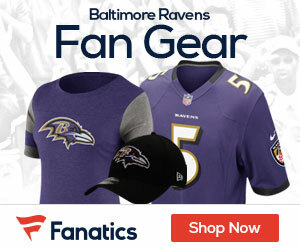 The most exciting news for Ravens fans may have happened yesterday when they tendered Lardarius Webb, Cary Williams, and Dannell Ellerbee. Webb received the expected first round tender while Williams and Ellerbee each got a second round tender. Ellerbee’s deal did raise an eyebrow or two and maybe it shows that Baltimore is expecting that Jameel McClain will be signing elsewhere. The Ravens will most likely follow the same course as last season. They will be patient to wait for the market to settle and then look to address specific needs at more cap friendly prices. There a few names that emerged as possible targets in the past few days. 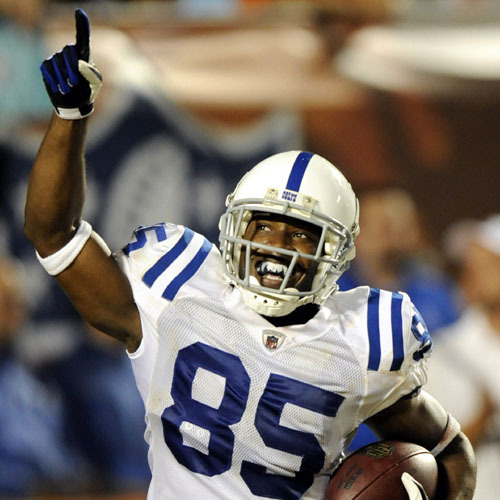 Pierre Garcon – WR : The early buzz was on the Ravens exploring the possibility of acquiring Reggie Wayne but taking a long look at Wayne’s teammate might make a lot more sense. The Ravens haven’t had a lot of success in picking up vet receivers (T.J. Houshmandzadeh / Lee Evans) in the past and might want to stay young in this department. Garcon is only 25 and is coming off his best season with 70 catches and 6 touchdowns. I just wonder if other teams with more cap room will be looking to scoop up Garcon as well and may beat the Ravens to the punch. Eddie Royal – WR: Royal would provide an answer at two positions if the Ravens acquired him – #3 Receiver and Punt Returner. Just like Garcon he’s only 25 but he’s seen his production tail off considerably since a stellar rookie campaign with 91 receptions. I don’t really see that as a problem though. Jason Brown – C: Yes, that Jason Brown. The former Ravens 4th rounder who bolted for the St.Louis Rams and a fat contract. He’s available again, as he was cut by the Rams Monday. It’s interesting to consider but he might be too expensive and it appears that the team is willing to retain Birk and perhaps draft an heir apparent (Peter Konz). Steve Hutchinson – G: Baltimore had success scooping up Tackle Bryant McKinnie last season so why not add another Viking Pro Bowler to go with a potentially returning Matt Birk? If Grubbs goes as expected, Hutchinson would be a nice short term answer and give the Ravens a very Minnesota flavor on the O-Line. Bobbie Williams – G: The former 12-yr vet is familair with the AFC North since he signed with the Bengals in 2004. He is coming off an ankle injury this past season, so you would have to wonder how much he has left in his career.